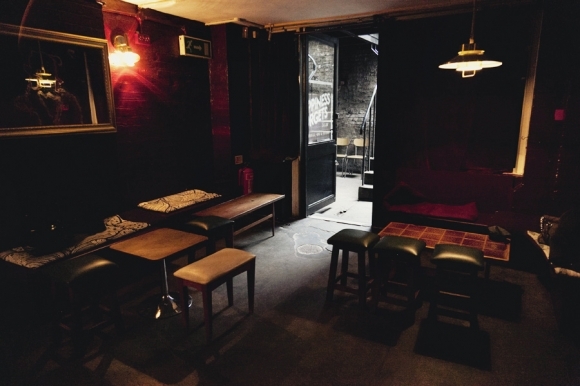 Hoxton Square is home to a few bars, but none with the reputation of Happiness Forgets. 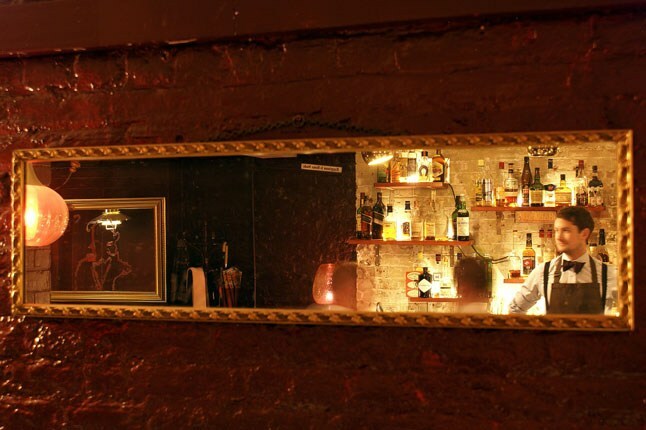 A Shoreditch institution, Pegu Club trained Alastair Burgess rallied up a few spectacular bartenders for the venue. The opening sentence pretty much tells you I enjoy the cocktails here, and have popped by over the years – the menu is seasonal and alters a bit. So let’s have a look at a classic first: can’t go wrong with a Buffalo Trace Old Fashioned. Smooth, silky, just a little bit of kick, gorgeous. The Jerezana catches my eye; Manzanilla & Amontillado, sweet & dry vermouths, dash of vanilla and orange bitters. The sherries are the first to assault you, with the light chamomile of the Manzanilla, followed by the wonderfully contrasting dry and sweet vermouths – the scrape of the former, and rounded mouthfeel of the latter. Finally, the vanilla does just the trick to add that little something to round out the drink. The drink is ambitious, but works incredibly well. The Alter Ego; St. Germain elderflower liqueur, Vulson white rye, dry sherry and Angostura is almost a dry cousin of the Jerezana. You tumble through the flavours of this drink as the open up surprisingly quickly. The spicy fruitiness of the white rye clashes comfortably with the elderflower to settle on the sherry. The drink is almost unsettling, yet addictive – with the perfect name. As much as I love the menu and staff, I find the atmosphere a bit claustrophobic – seats near the exit are the most comfortable with access to fresh air. Dark, loud and surprisingly warm, it can be fun on quieter evenings. On quieter evenings though (hardly ever, mind you), there is plenty seating at the bar for chats. On that note, booking is absolutely necessary, especially if there are more than two of you. I’ve always noticed the strange mix of clientele – it’s like nearby Shoreditch, Liverpool St. and Old St. all fit themselves in. Service is excellent, polite, and fun – can’t fault it. But one has to account for crowded evenings, too. In summary, the mercurial menu means that one can only comment on the staff’s ability to come up with original cocktails that work and their finesse – which is fantastic. Classics are knocked out wonderfully, too. Happiness Forgets is crowded with good reason. This entry was posted in Bars & Cocktails and tagged Basement, Small Groups, Tiny.